Image credit: 'Betsy DeVos' by Flickr user Gage Skidmore License CC BY-SA 2.0. 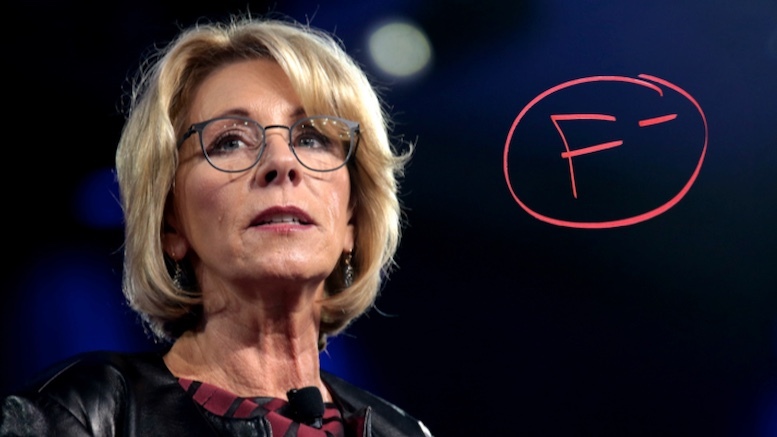 Betsy DeVos learned today that she has not made enough progress to start her second year as Secretary of Education, and will have to retake her first year instead. Though regarded as woefully unprepared when she started, teachers had hoped she would settle in and at least do enough to pass. The cited her report card which indicates failing grades and gross absenteeism. When reached for comment, DeVos said she had a really good statement prepared but the dog ate it. Be the first to comment on "Betsy DeVos Forced To Retake First Year Of Being Education Secretary"